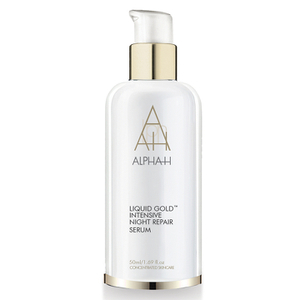 Customers who were previously using Alpha-H Age Delay Intensive Anti-Wrinkle Night Cream of an evening may replace it with the NEW Liquid Gold 24hr Moisture Repair Cream. Symbolic of the Liquid Gold range, Glycolic Acid (5%) gently dissolves dead cell buildup on the surface of the skin whilst increasing epidermal hydration, improving skin texture and reducing the visible appearance of hyperpigmentation. After thoroughly cleansing the skin, apply to the face, neck and décolletage in upward and outward circular movements, avoiding the eye area. Use evenings, alternating with Alpha-H Liquid Gold. Key Ingredients: 5% Glycolic Acid, Argan Stem Cells, Chia, Vitamin E, Green Tea, Matrixryl 6. Did absolutely nothing for me. Was advised these by the alpha h inline skin consultant. All that expense for nothing. Liked the cream. Got some positive comments for my improved skin. Although I myself didn’t see much difference, would like to try again. 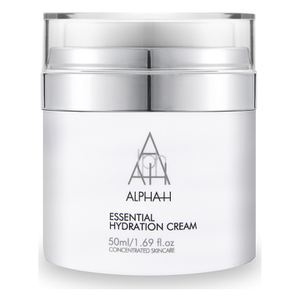 I love using Alpha H products, they aren't too expensive and you know they use quality ingredients. Every product of theirs works wonders for my skin and this moisturiser is no exception. I use this every second night and omg the hydration it products is amazing, definitely give it a go if you have dry skin. I have oily combo skin and I find this helps level out my oiliness as well as help with pigmentation. Worth the money !